Elite Wellness Solutions specializes in developing innovating strategies that combat the negative effects of excessive sedentary behavior. We offer a customized approach to encourage employees and staff to become more active throughout the workday. Our goal is to empower employees and teach simple, yet effective movements, which will increase productivity and promote healthier lives. Change the paradigm associated with how employees approach activity through their work day. Provide interactive workshops allowing one on one training to ensure the mastering of the techniques of our simple activities, yielding optimum compliance and results. 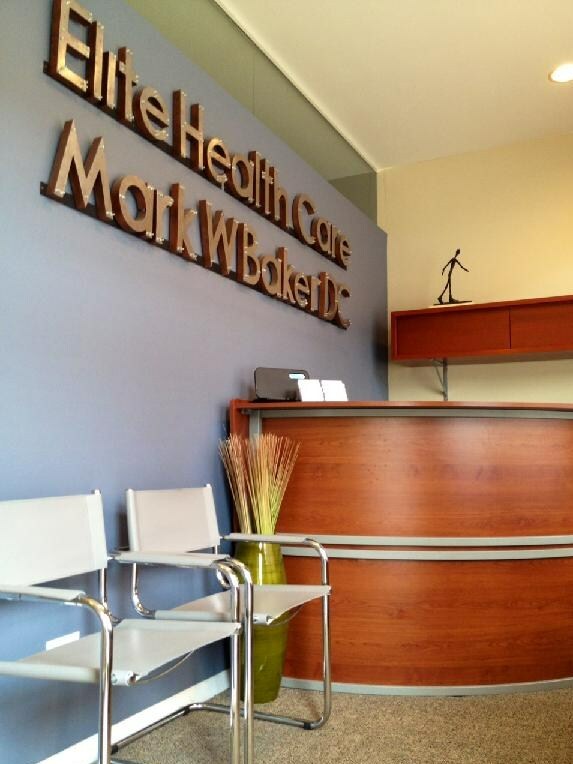 The coordinator of Elite Wellness Solutions, Dr. Mark Baker, D.C has been helping people live healthier lives for over 25 years. While serving in the US Army as a Master Fitness instructor, he educated our finest soldiers and brought them to their peak performance. Dr. Baker founded Elite Healthcare in 2002 in order to provide highly focused, state of the art help to the every day citizen looking to increase their fitness lifestyles. While extraordinarily popular in the Lincoln Park, Chicago neighborhood, Dr. Baker is also adamantly sought out by Olympic and professional athletes for his expertise in optimizing the human performance. Currently, he and John Godoy have been collaborating with the corporate world to developing innovative solutions that break the mold of outdated corporate wellness strategies. It’s that time of year again. The days are getting shorter, and the sightings of the sun are getting fewer and further between. Don’t let that get your down!! At Elite Healthcare, we offer the benefits of Vitamin D & Far infrared light therapy right in the office! The D Lite System, the first of its kind in the country, is a 12-lamp system that produces ONLY UVB rays. It is designed for those of you who want the benefits of the sun without tanning. If you shun the sun, suffer from milk allergies, or adhere to a strict vegetarian diet, you may be at risk for vitamin D deficiency.Known as the sunshine vitamin, vitamin D is produced by the body in response to sunlight. It is also occurs naturally in a few foods — including some fish, fish liver oils, and egg yolks — and in fortified dairy and grain products. Vitamin D is essential for strong bones because it helps the body use calcium from the diet. Traditionally, vitamin D deficiency has been associated with rickets, a disease in which the bone tissue doesn’t properly mineralize, leading to soft bones and skeletal deformities. But increasingly, research is revealing the importance of vitamin D in protecting against a host of health problems. In addition, the phosphor formula used to make the lamps in the D Lite unit produces UVB light and red visible light, a very beneficial feature because deep penetrating red light therapy is a non invasive, risk-free alternative to all sorts of skin problems, skin appearance and has been proven to be effective for all sorts of pain. Red light easily penetrates the skin, boosts circulation and bringing more blood and nutrients to the area. It also stimulates vital collagen and elastin production. Collagen helps plump the skin, while elastin firms the skin. The red light is energizing and repairing damaged cells, stimulating collagen and elastin and giving the skin back its youthful look. Red light therapy for pain relief is a gentle, non-invasive, drug-free, and chemical-free alternative that has been shown to reduce and in some cases even eliminate aches and pains. Scientists at the Vitamin D Council agree that both children and adults should have a Vitamin D level of 50 ng/ml all year-round. They recommend the use of any Mercola Tanning Systems as a safe and effective way to help you achieve natural levels of Vitamin D. The Vitamin D Council is a nonprofit organization whose aim is to educate the public about Vitamin D deficiency and how to prevent it. CALL ELITE TODAY FOR PACKAGE PRICING AND TO SCHEDULE YOUR APPOINTMENT! Here at Elite, we work very hard to provide you with the best chiropractic health care we can. To do that, we need your feedback! Check us out on Yelp, write a review, and we will apply $10 to your Elite Healthcare account to be used for services & product! Like other health-care providers, we follow a standard routine to gain information about the patient. We consult, review the case history, conduct a physical examination, and we may request laboratory analyses and/or x-rays. Unlike other health-care providers, however, chiropractic physicians also conduct a careful analysis of the patient’s structure and pay particular attention to the spine. We also ask you about your life— Do you eat well? Exercise at all? How do you deal with stress? Do you have children? What do you do for work? And so on. Located in the heart of Chicago in the Lincoln Park neighborhood, the leading health professionals at Elite Healthcare are dedicated to helping you achieve your wellness objectives — combining skill and expertise that spans the entire chiropractic wellness spectrum. We are genuinely commited to bringing you better health and a better way of life by teaching and practicing the true principles of chiropractic wellness care. If you are new to our website, please feel free to discover and learn about chiropractic wellness! If you are interested in starting your journey towards wellness, please subscribe to our site to recieve up-to-date news about our office and information on healthcare and fitness. If you are already a subscriber, please explore the member wellness section of our site for articles, resources, and health facts!